If you are in Panama City Beach Florida on vacation or just on a weekend get away one of the most memorable experiences you can have is out on the water with your friends and family. Nothing is better then heading out on the Gulf and forgetting all the stresses from our daily lives, after your trip you feel mentally refreshed and energized. So if you happen to be visiting our beautiful suger white beaches,(which Panama City Beach is famous for) and your looking out at the gulf just think you could be out there on a private charter fishing boat away from the crowds just catching loads of fish having the time of your life and making incredible memories with your friends and family to take back home with you. So give Golden Legacy a call today and book your trip today while dates are still available. Located at the beautiful Treasure Island Marina, in Panama City Beach Florida. Golden Legacy Charters is a family run business. Captain Austin Golden is the owner/operater of the charter fishing boat the Golden Legacy, a 36' foot, fiberglass trophy haul, (6 pack) vessel. 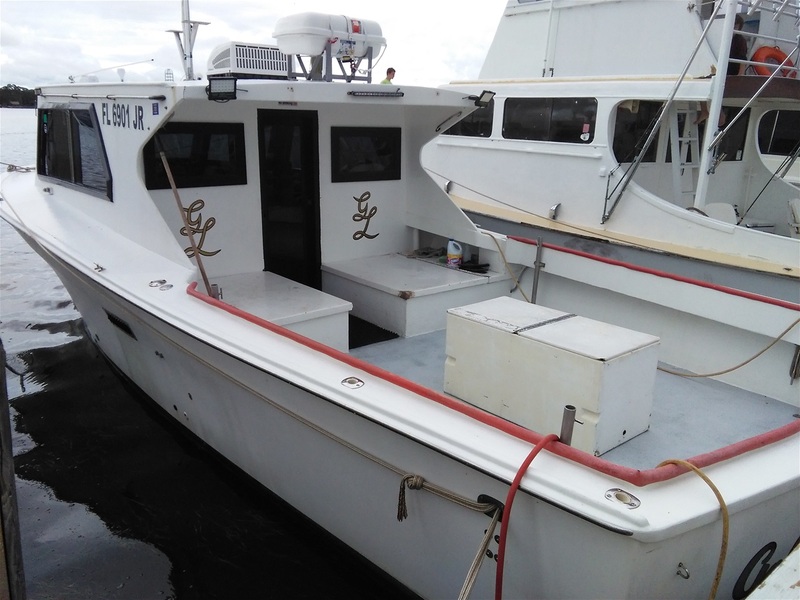 She has a large spacious deck for deep sea fishing with our experienced crew, as well as a spacious enclosed cabin with sitting area for those who want to kick back and relax in the A/C, there is also a microwave and T.V. with DVD player, as well as large bunks, and a private restroom. She is comfortable for everyone no matter the length of your trip. Check out our " Boat" page to learn more. Captain Golden is a well known and respected fisherman around the docks, he is a second generation fisherman with over 20 years experience in our local waters. Check out our "Captain" page to learn a little more about the captain. Tiffany Golden is Captain Golden's wife as well as the manager. She handles all bookings, calls, texts, emails, etc. We offer trips that range from inshore fishing on a 4 hour trolling trips for fish like Spanish mackerel, king mackerel, cobia, mahi mahi and more. 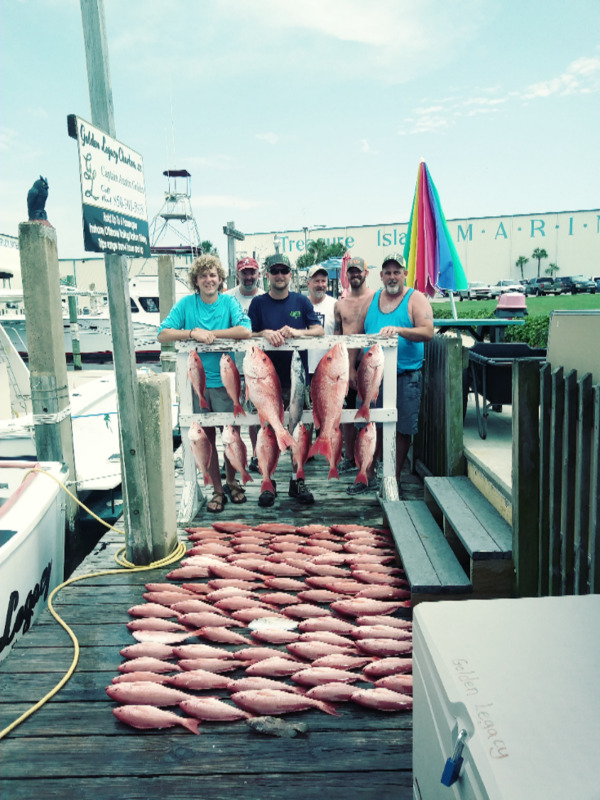 We also offer deep sea charter fishing trips also known as a bottom fishing trips for vermilion snapper, white snapper, red snapper, black snapper, red grouper, black grouper, and much more it all depends on what's biting and what's in season. 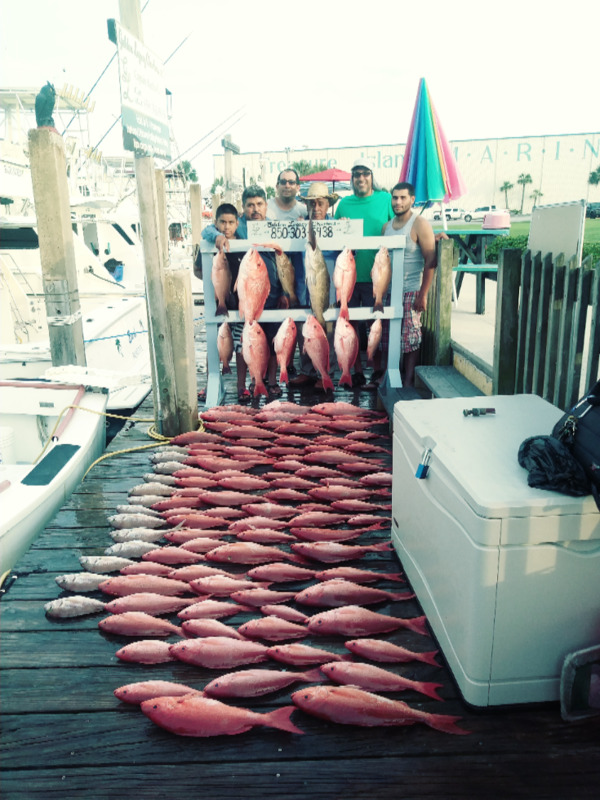 We have a wide range of fish here in the beautiful Gulf of Mexico. Our Deep Sea Bottom fishing trips start at 6 hours, but to make sure you have plenty of time to catch what your after we offer trips from 8 hour, 10 hour, 12 hour, you can even stay out on the water for up to 2 days, or longer. Depending on your preference. Our vessel is built to be perfect for longer trips. We have a private restroom, air conditioning, T.V. and DVD player, a deep freezer so you can bring some frozen meals and a microwave to heat them up, and bunks for taking naps after a long day of fishing. 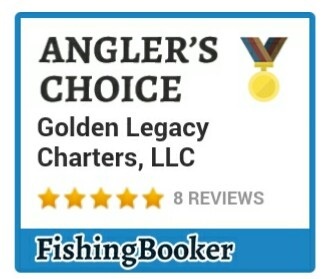 The Golden Legacy is perfect for families with children to enjoy a day out on the water and even the most serious anglers looking to land the big ones. So contact us today to book your ideal date and time for your day of making memories out on the water. Book your trip now call our manager Tiffany Golden. And remember "When you're good, You're Golden"
~ We promise to do everything within our power to make sure you, your friends and family​ have a fun time great memories and lots of fish. ~Our goal is that everyone has so much fun that you'll be planning your next trip before your current one is over, and you tell all your friends and family about us.